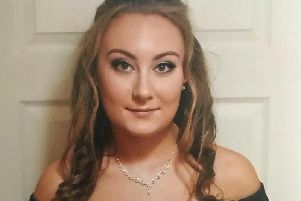 Gemma Ashling, of Boston High School, who has sadly died following a car crash earlier this week. Tribute has been paid to a ‘dedicated, enthusiastic, kind, and a warm-hearted’ teacher at a Boston school who has died after being involved in a car crash. 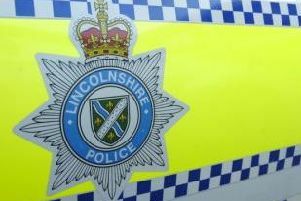 Gemma Ashling, 40, of Boston High School, suffered serious injuries in a three-vehicle collision on the A52 Main Road at Leverton on Monday. She was taken to hospital, but sadly did not recover, passing away yesterday (Thursday, November 29), the school said. The school learnt of her death this morning and has been paying tribute to her memory. “Our whole school family is so deeply saddened by this tragic loss,” said headteacher Andrew Fulbrook in a statement. “At this time our immediate thoughts are with Ms Ashling’s family and friends and we would wish to share our deepest sympathies and condolences with them at this desperately sad time. “Ms Ashling was a dedicated, enthusiastic, kind and a wonderfully warm-hearted teacher, colleague and friend. Her positivity with students was always evident in all she did. With her tutor group, she always placed their needs first and was supremely kind, compassionate and considerate. Greeting them with a smile every morning, always taking the time to know them and understand their needs, providing support and care in all she did. Ms Ashling, who was from Spalding, had been teaching at the school for between 18 months and two years. Ms Fulbrook described her as a ‘highly skilled, professional and committed’ teacher within her subject areas of sociology and religious studies, saying, once again, she was ‘always placing the students first and always available for them’. “For example,” he continued. “On a Friday, in school, she would organise ‘Cake Day’ for her tutor group and after school, she would make herself available for those who simply wanted to chat at the end of a busy week; she was always there for the children. Pupils from her form have described her as a ‘wonderful lady with a heart of gold’, Mr Fulbrook said, and as ‘a teacher who always made us feel happy’ and ‘an inspiration’, saying he would echo these thoughts. He added: “Ms Ashling was a part of our family and we have received so many warm and comforting tributes and messages from students, staff, governors, parents/carers and former students; and I should like to thank all for their support of our school. The thoughts and messages received have been so very consoling to us all at this sad time. Mr Fulbrook ended his tribute with a comment from a pupil in Ms Ashling’s Form Group – ‘she would always find a way to make me smile’. * Police are appealing for witnesses to the crash. It involved a double decker bus, a silver Hyundai i10, driven by Ms Ashling, and a grey VW Transporter. It took place at 3.50pm on Monday, November 26.